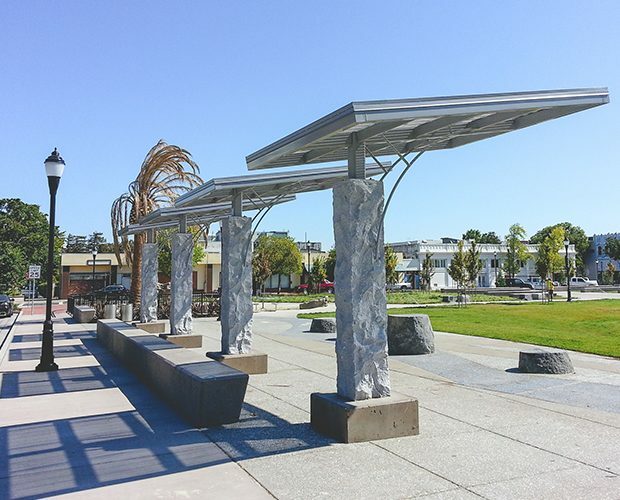 The overall goal of this park design was to provide three-season comfort without being over-bearing and lessening the open and expansive park setting. 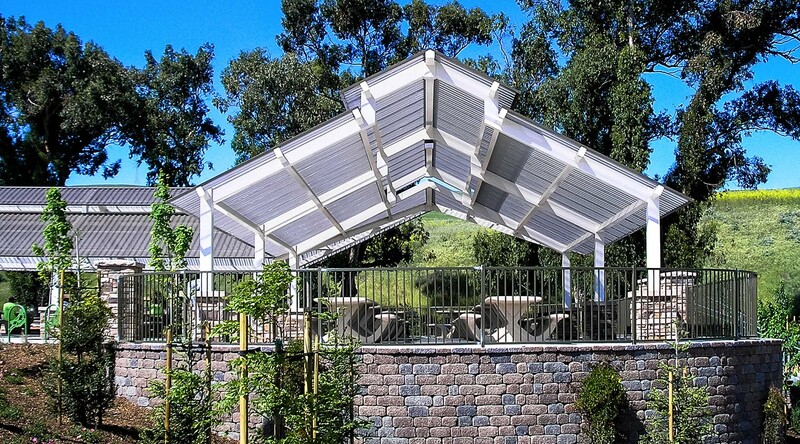 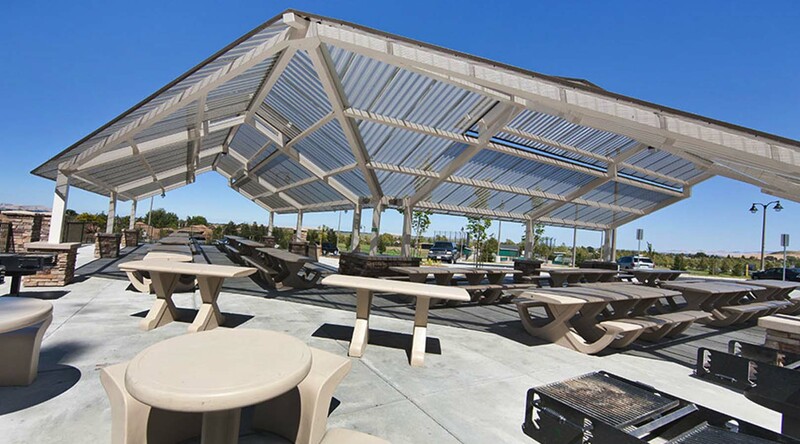 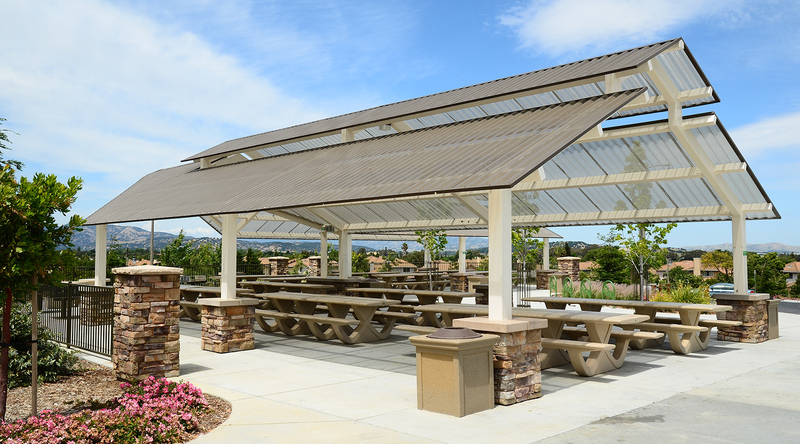 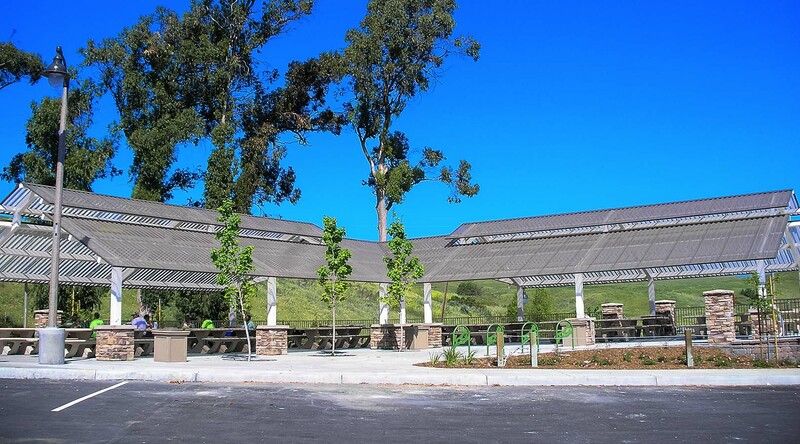 Featuring ten custom designed Classic Recreation shade structures, Cordelia Community Park provides an excellent place for group gatherings or outdoor parties. 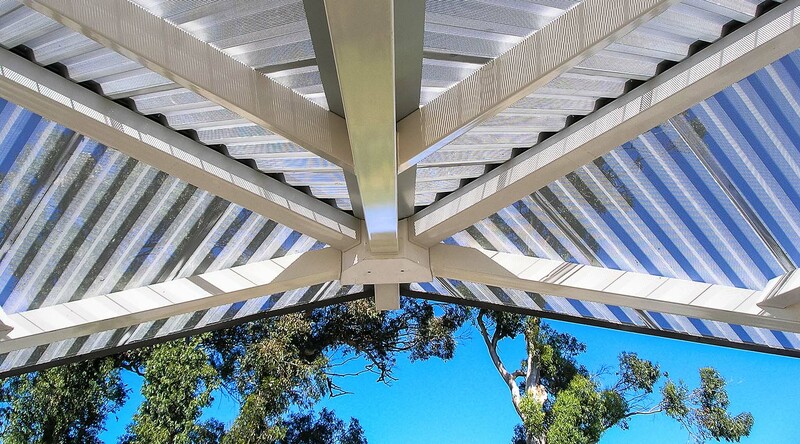 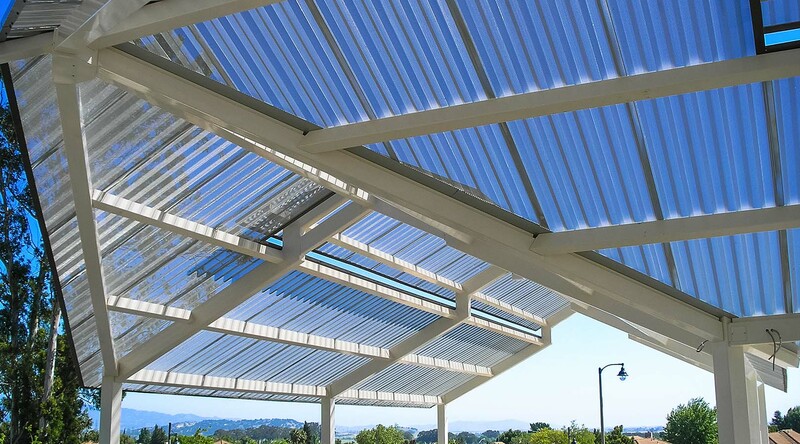 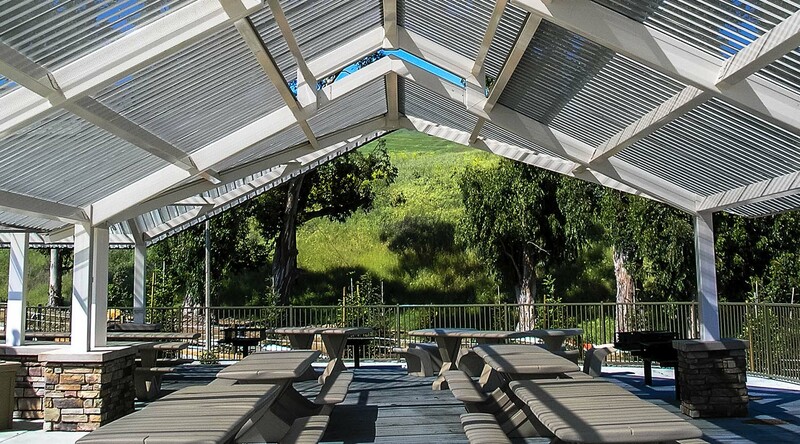 The perforated roofing creates an open and airy feel than if the roof was solid, allowing sunlight and air to move through the space, while providing a cover for warm summer days.